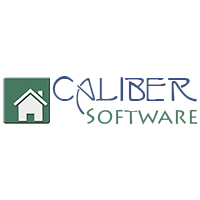 Caliber Portal is a management company portal product that enables homeowners and board members to access information in Caliber in REAL time. This program is very easy to use and I am able to enter violations and work orders with ease. The reports come out great as well. This is totally superficial, but it looks old so I was skeptical about using it at first. However, when I started using Caliber, I saw why it was one of the top HOA management programs out there. This program is very user-friendly, even for people who have never used HOA management software before. Some of the members of our HOA board are able to access Caliber and they found it very easy. Entrata is a software that provides property management for the multifamily housing industry. OneSite®, A completely customizable, fully integrated solution that puts you in charge. And helps keep you competitive. Tap into a powerful property management marketing solution that includes dynamic property websites, convenient services and smart multichannel marketing tools. Make life easier for prospects, residents and staff with online leasing, rent payments and maintenance requests. ActiveBuilding makes everyday apartment life easy. For owners, managers and residents alike. And when a buildings happy, thats good for relationships, retention and your buildings reputation. A web-based Maintenance/Work Order System for multifamily communities. With eService, you have the ability to control the assignment and progression of work orders for one or more properties. Online Block Management solution for agents and flat owners who self manage. MyCommunity is mobile friendly. Manage your Condominium or HOA. Handle repair and maintenance requests. Be responsive to residents and Board of Directors. The eCS platform offers a broad range of tools to do just that within a graphic framework that visually represents your property. This helps simplify complex relationships between units while providing intuitive insights supporting your efforts to turn data into decisions and maximize the profit from your project. Condo Manager is a HOA and condo management software for property managers and self managed associations by people in the industry. * We monitor all Caliber Portal reviews to prevent fraudulent reviews and keep review quality high. We do not post reviews by company employees or direct competitors. Validated reviews require the user to submit a screenshot of the product containing their user ID, in order to verify a user is an actual user of the product. Hi there! Are you looking to implement a solution like Caliber Portal?